Nokia has become very aggressive in launching many WP8 devices in the market and have launched around 12 models in past 18 months. Nokia has a great reputation for hardware but the software part is the bigger worry. Before you are planning to buy a Nokia Lumia I am sure its a great phone but please consider below points before making the big decision. This has become a key factor for people to incline towards Lumia or not. Google's Android platform is not just App rich but the way Google's vision is driving the technology world it is far ahead from the rest of the tech giants in terms of Cloud computing, Voice Recognition, Maps and close to1 million Apps and many of them free. Google's Playstore has a rich Music, Movie and Book library which Windows Lags today. File sharing like songs, movies etc is not so easy with Lumia. In Android we get these files from Bluetooth, direct file transfer download etc. In Lumia you have to pass everything via Zune software. No doubt Nokia produces the best hardware in its category. Its very famous for its robustness and good quality but if you look at the hardware configuration of Lumia phones it is still slightly outdated. Nokia still does not have good Quad Core processor phones and 2 GB RAM phones. Camera is the USP of Lumia phones and buy them if you are a big fan of taking good pictures from your phone. 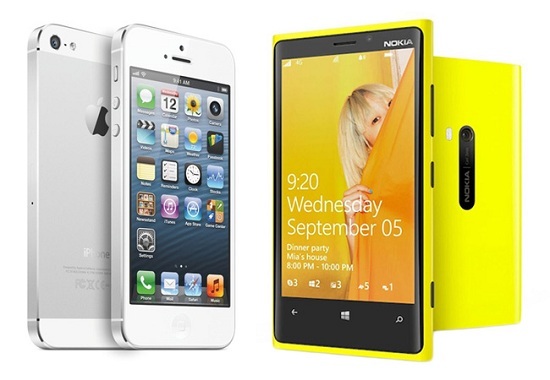 Lumia phones look very premium and its User Experience I would say is far more superior than Android phones. The clutter factor which annoys android users the responsiveness the lag all of it is not there in Lumia. Its User Experience is very close to Apple's iPhones. MS Office files such as word, excel, ppt are used every day by average computer users and they are supported very well on Windows Phones hence Lumia becomes an obvious favorite. Lumia comes with its own baggage of goods and bads you need to choose what are your priorities and make the final call.